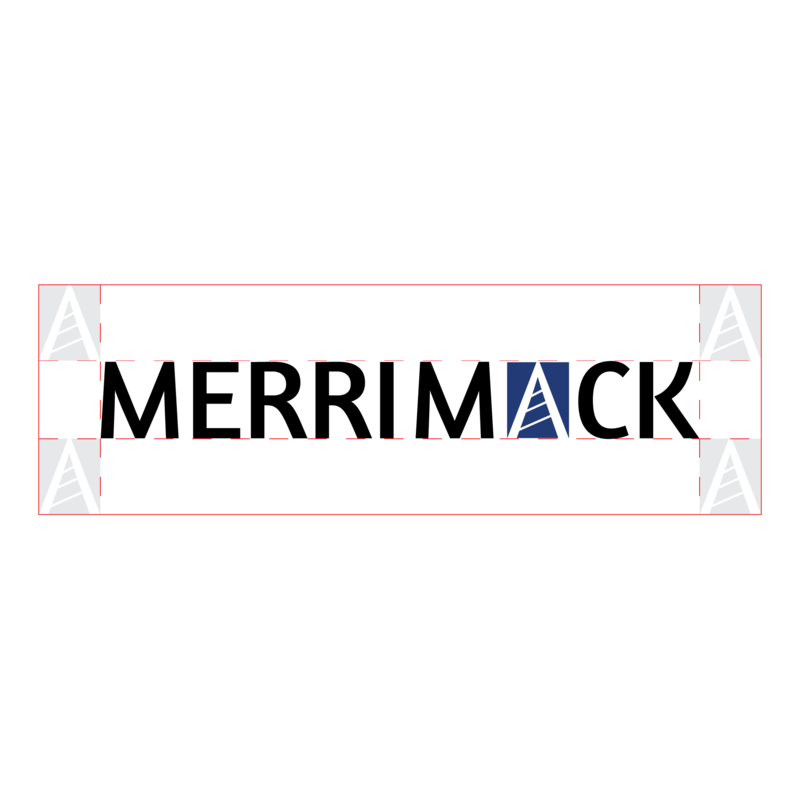 Merrimack is a young and ambitious company specialising in Earth Retaining Stabilising Structure (ERSS) solutions. They are adamant about creating cost-efficient and environmentally-friendly solutions for their clients. We're happy to be a part of their journey in establishing their brand. We are honoured to have this project featured by SPRING Singapore. To ensure the project's success, a clear brand strategy was needed. All designs and content had to be created with a strong purpose. 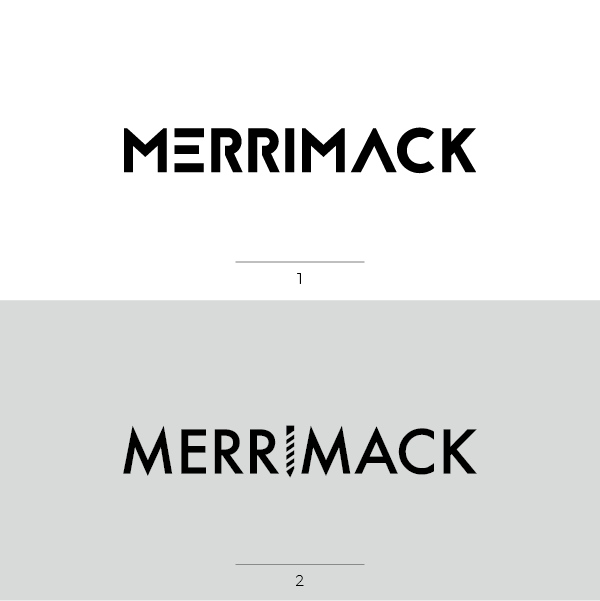 To prepare them for overseas projects in future, we focused heavily on creating digital assets that would think of Merrimack as a global company. The clear space is an underestimated aspect of displaying a brand's logo. An unobstructed logo maximises it's visibility and has a distinct impact on any object it is placed on. How do you learn more about a company and its services? It usually starts with an internet search. Often, the website of the company is the first result to appear. Based on our research, there were few competitors in Singapore providing expertise in foundation piling. 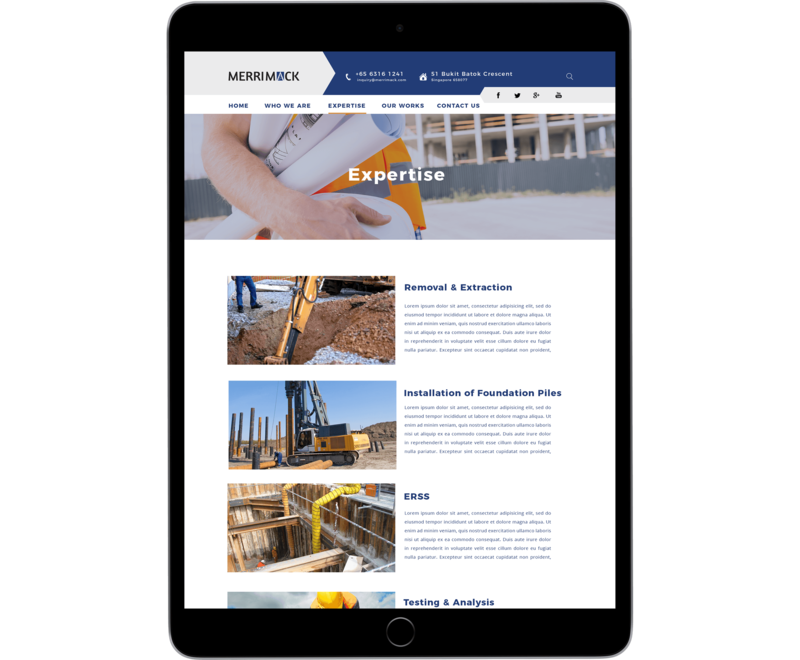 The findings gave us a tremendous opportunity to help Merrimack in solidifying its brand by having a professional website and consistency across her digital assets. How do you learn more about a company and its services? It usually starts with an internet search. Often, the website of the company is the first result to appear. Based on our research, there were few competitors in Singapore providing expertise in foundation piling. The findings gave us a tremendous opportunity to help Merrimack in solidifying its brand by having a professional website and consistency across her digital assets. 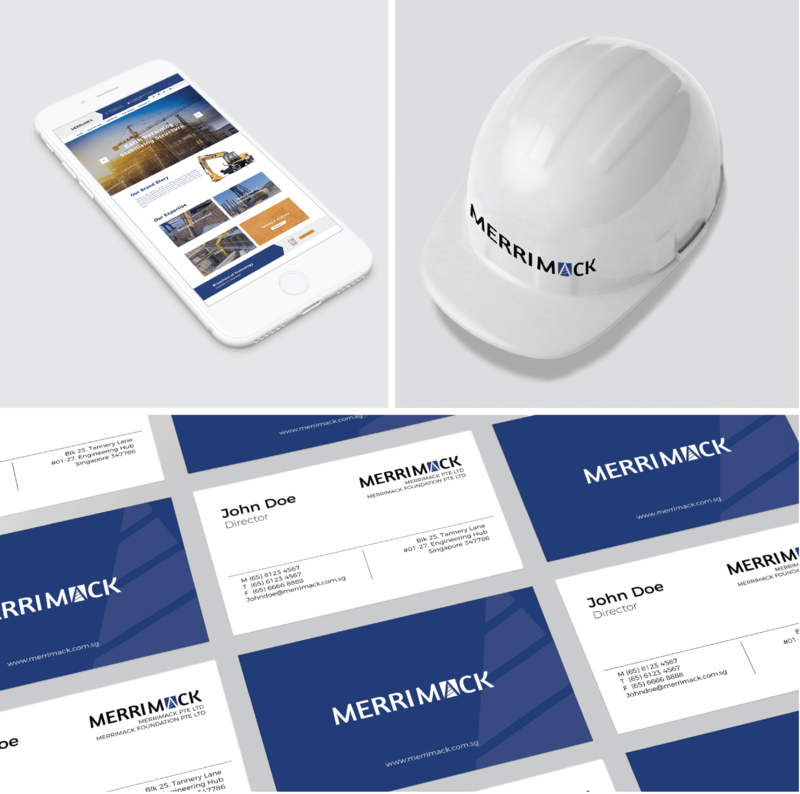 We wanted to incorporate design elements of Merrimack's industry in the website. A professional and structured website was the way to go. 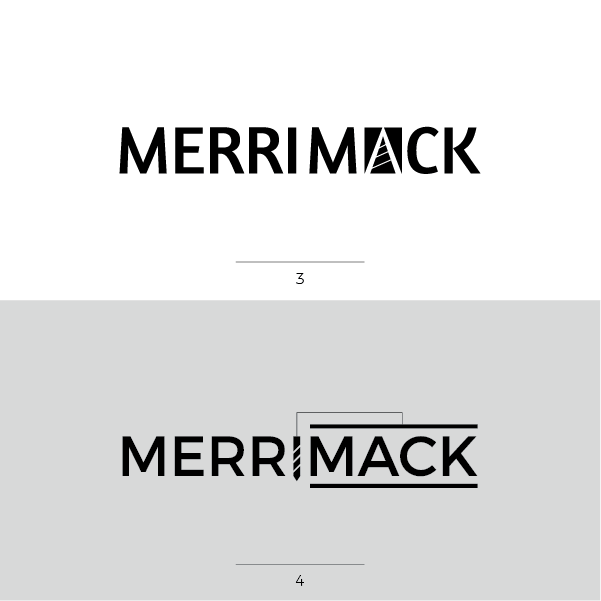 We used polygon shapes and sharp typography to design Merrimack's website. Instead of providing an all-too-familiar "Services" tab in the navigation bar, "Expertise" had a much better representation on Merrimack's specialty. 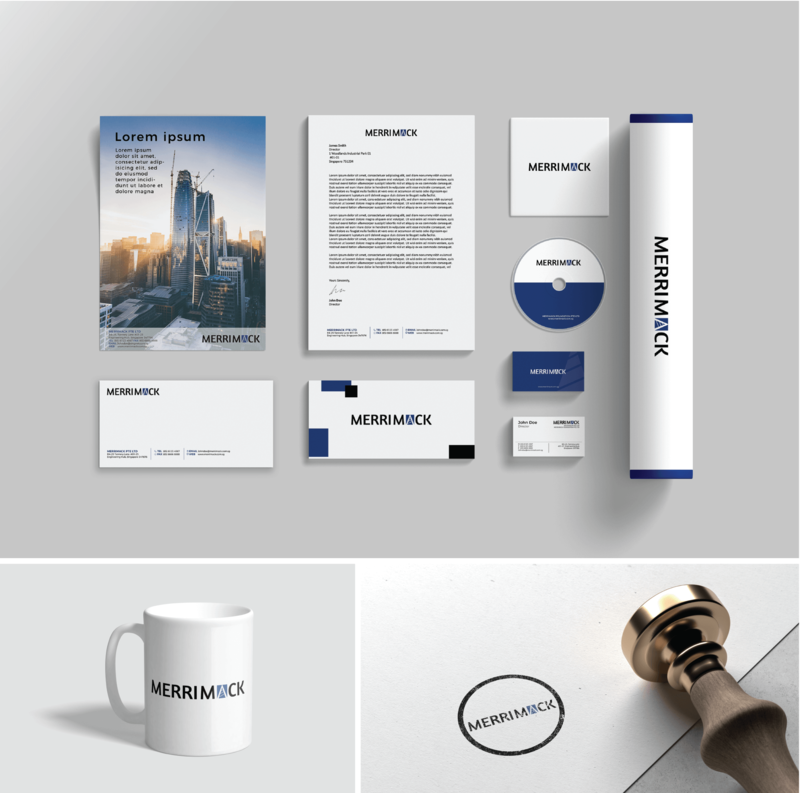 The corporate identity guide is an integral part of a brand. From collaterals to all things It serves as a reference to make sure you are portraying your brand the right way. Consistency in your branding gives your customers the trust that you are equally consistent with the work you produce. Its tells them that you are dependable. In other words, it's a higher level of marketing, one that connects to your customers on a deeper level. The corporate identity guide is an integral part of a brand. From collaterals to all things It serves as a reference to make sure you are portraying your brand the right way. Consistency in your branding gives your customers the trust that you are equally consistent with the work you produce. It tells them that you are dependable. In other words, it's a higher level of marketing, one that connects to your customers on a deeper level. There are many ways to reflect a brand, which you choose depends on what you believe in.